U.S. EPA Administrator Scott Pruitt is leading a formal initiative to challenge mainstream climate science using a "back-and-forth critique" by government-recruited experts, according to a senior administration official. The program will use "red team, blue team" exercises to conduct an "at-length evaluation of U.S. climate science," the official said, referring to a concept developed by the military to identify vulnerabilities in field operations. "The administrator believes that we will be able to recruit the best in the fields which study climate and will organize a specific process in which these individuals ... provide back-and-forth critique of specific new reports on climate science," the source said. "We are in fact very excited about this initiative," the official added. "Climate science, like other fields of science, is constantly changing. A new, fresh and transparent evaluation is something everyone should support doing." The disclosure follows the administration's suggestions over several days that it supports reviewing climate science outside the normal peer-review process used by scientists. This is the first time agency officials acknowledged that Pruitt has begun that process. The source said Energy Secretary Rick Perry also favors the review. Executives in the coal industry interpret the move as a step toward challenging the endangerment finding, the agency's legal foundation for regulating greenhouse gases from cars, power plants and other sources. Robert Murray, CEO of Murray Energy Corp., said Pruitt assured him yesterday that he plans to begin reviewing the endangerment finding within months. "We talked about that, and they're going to start addressing it later this year," Murray said in an interview. "They're going to start getting a lot of scientific people in to give both sides of the issue." 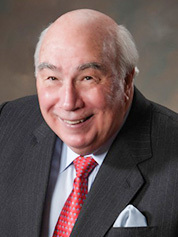 Murray Energy Corp. CEO Robert Murray. Murray Energy Corp. But another person attending the meeting said Pruitt resisted committing to a full-scale challenge of the 2009 finding. The administration source also said Pruitt "did not promise to try to rescind the endangerment finding." Climate scientists express concern that the "red team, blue team" concept could politicize scientific research and disproportionately elevate the views of a relatively small number of experts who disagree with mainstream scientists (Climatewire, June 29). Pruitt told about 30 people attending a board meeting of the American Coalition for Clean Coal Electricity yesterday morning that he's establishing a "specific process" to review climate science, the administration official said. Murray and two other people in the room interpreted Pruitt as saying he would challenge the endangerment finding. Challenging the endangerment finding would be enormously difficult, according to many lawyers. The finding is built on an array of scientific material establishing that human health and welfare is endangered by a handful of greenhouse gases emitted by industry, power plants and cars. It stems from a Supreme Court ruling in 2007. If Pruitt somehow succeeded in rolling back the finding — an outcome that many Republicans say is far-fetched — the federal government would no longer be required to restrict greenhouse gas emissions. Power companies have told Pruitt they don't want him to wade into a protracted and public legal battle that he would likely lose. 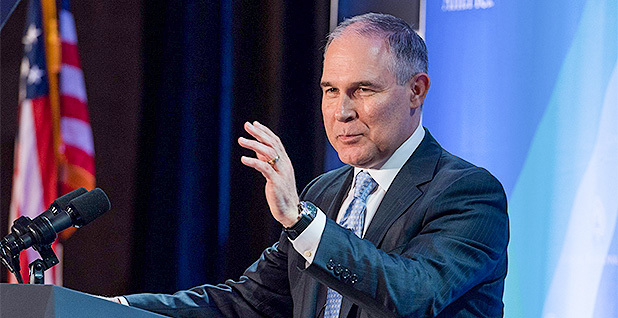 Many have said that if EPA rescinds its carbon standards for power plants — the Clean Power Plan — the agency should write a substitute rule and try to avoid court fights that might confuse their efforts to make long-term business plans (Climatewire, June 22). Murray yesterday commended President Trump's announcement that he would try to boost some coal exports, but he said that ultimately what the sector needs is for EPA to nix the endangerment finding. Perry also has touted carbon capture and sequestration technologies for coal plants, even as he questions whether climate science is settled. Murray said carbon capture won't help, either. "Carbon capture and sequestration does not work. It's a pseudonym for 'no coal,'" Murray said while waiting for a ride outside DOE headquarters. "It is neither practical nor economic, carbon capture and sequestration. It is just cover for the politicians, both Republicans and Democrats that say, 'Look what I did for coal,' knowing all the time that it doesn't help coal at all." Murray acknowledged that the legal fight over the endangerment finding would be "tough." He thinks that's because climate activists and renewable power producers want to keep making money off climate change. "All these people will be jumping on this on the other side because it's all about money, but it is not about America. America needs reliable, low-cost electricity, and that is a mix of different fuels," he said. Murray also wants Perry to use emergency authority to stop coal and nuclear plant closures, although lawyers have said that is unlikely to happen (Energywire, June 19). Still, Murray, who is close with the president, said he thinks Trump would be "receptive" to the idea.